Compress files and organize archives. Connect to your PC remotely. Create a bootable USB drive. Free cursor manager for your Mac desktop. Very small utility that prevents your Mac from going to sleep. Get access to a list of the available shortcut keys on your Mac. Easily manage your global hotkey collection on your Mac. A utility that enables users to enjoy the SugarSync service. This app helps you sync data between your Mac and various devices. This Mac program helps you recover lost files on you computer. Backup and synchronization tool by Belight Software. App that monitors laptop battery health. ★★★ Detailed stats and health information for your MacBook's battery! Battery calibration tool for Mac OS X computers. This program helps you test your disk performance. This app checks the S.M.A.R.T. status of your hard disk drives. Get information regarding the performance of your Mac's main components. A reiable application that helps you monitor your CPU activity. Open-source MP4 muxer and editor for the Mac. Make math calculations on your Mac. This small application helps you make basic calculations. Create bootable Live USB drives for Ubuntu. Convenient tool that will help you create awesome covers. Capable clipboard utility designed for Mac. Tool that helps you manage your copied content. Check time and date information with just one click. iDock is an application that allows the mac user to have as many docks as he or she wants. DockView will allow you to extend the Dock's functionality. Very small, open-source system utility. This software allows you to write NTFS files from a Mac computer. With EZCast you can display your favorite entertainments on TV. This application is designed for configuration and management of the hardware. It requests SHSH signatures for firmware restores. 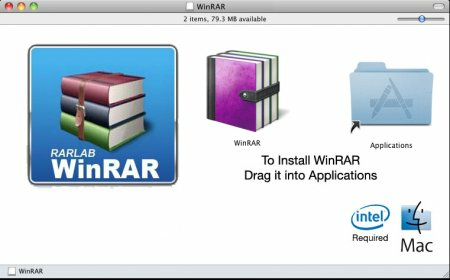 RAR archive decompression and recovery tool. Program that lets you compress and extract archive files. Gemini 2 by MacPaw is a Mac-only duplicate and similar file finder. Analyze and catalog your disks with just a few clicks. Browse and transfer files from your iDevice to your hard drive. StuffIt Archive Manager organizes your archives into collections. Free 3D sketching program for the conceptual phases of design. This Mac application provides you with 40 free fonts. Outline font editor that lets you create your own fonts. Font manager designed for Mac. Safely share or transfer files. SecureCRT provides secure remote access, file transfer, and data tunneling. Telnet/SSH/SSH2 client and terminal emulator. Powerful application for analyzing network data and connections. Detect devices connected to your network. Powerful tool that helps managing your iTunes library. Very small app that adds notifications to iTunes. Control your iTunes music directly from the Menu Bar. This app is a plugin for Finder that offers you various helpful features. A small application that allows you to control music playback via a web camera. It provides a secure connectivity experience across PC and mobile devices. iWATCH DVR is an easy-to-use H.264 DVR remote viewer. Optimizes the performance of your system within moments. TRIM Enabler allows for TRIM support for any SSD model hard drive on Mac OS. This application helps you optimize the performance of your Mac. Easily update apps from App Store and other sources. All-in-one system maintenance tool and optimizer. It is an Android emulator for PC which lets you download Android apps and games. BlueStacks App Player lets you run apps from your phone. Application for Mac to manage your archive files. Carbon Copy Cloner backups are better than ordinary backups. This program helps you remove unnecessary apps from your Mac. Community supported version of the X11 server for Mac OS X.
Open-source file transfer protocol client (FTP). System maintenance tool, that can easily remove apps and files. Immediately access and configure Mac's hidden settings. SuperDuper is an advanced, yet easy to use disk copying program. Easy-to-use tool for data migration between Mac and mobile. Free utility that helps you transfer files. Optimize the performance of your system with minimum effort. A tool for uninstalling applications from your Mac. Lightweight application for managing archive files.